Need to refresh your wardrobe? 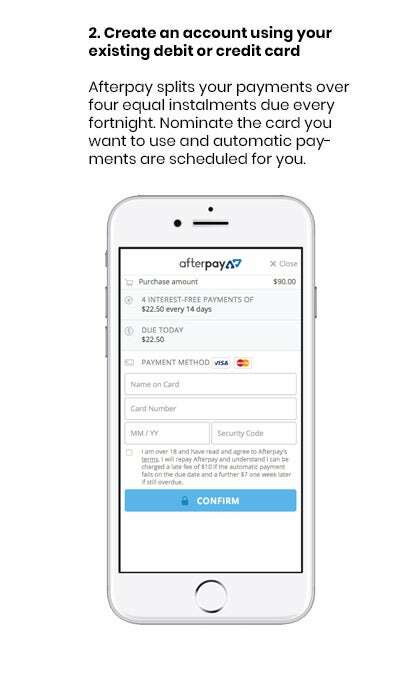 With AfterPay you can shop now and pay later with payments split into 4 easy interest free installments. The first installment is charged at checkout, and the rest are paid fortnightly. 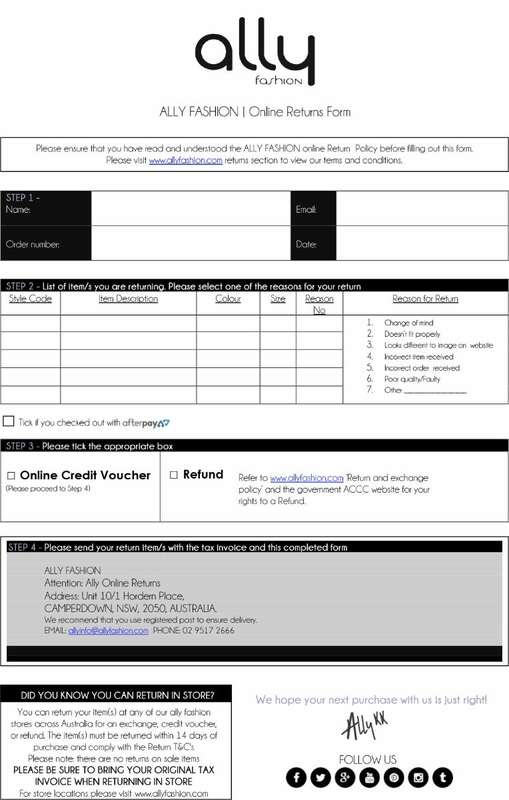 When you pay using the Afterpay service, you may return your item(s) for a full refund through our Ally Fashion online distribution centre providing the return conditions have been met. Please note Ally Fashion is not able to accept exchanges or returns for pierced or regular jewellery, swimwear, bodysuits or makeup. This merchandise is final sale and cannot be refunded, exchanged or credited unless there it meets the STATUTORY RIGHTS outlined by the ACCC. Please note: if a product is out of stock please allow our Online Team handling time to source the product or reverse the transaction. 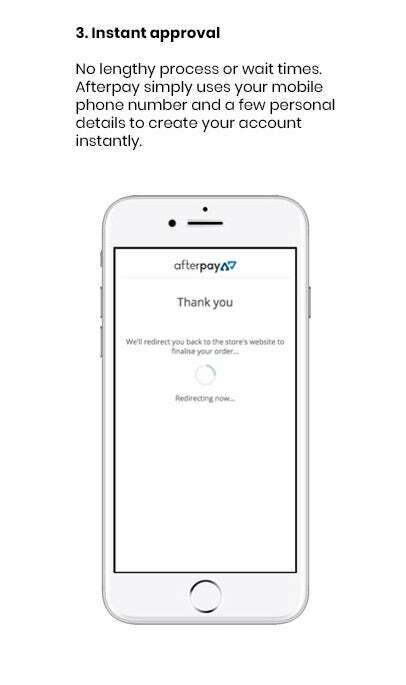 If you purchase using Afterpay, you can return any full priced item within 21 days for a full refund of any payments made to date - providing the return conditions have been met. All remaining payments will be cancelled. Please contact Afterpay direct if a payment issue occurs. 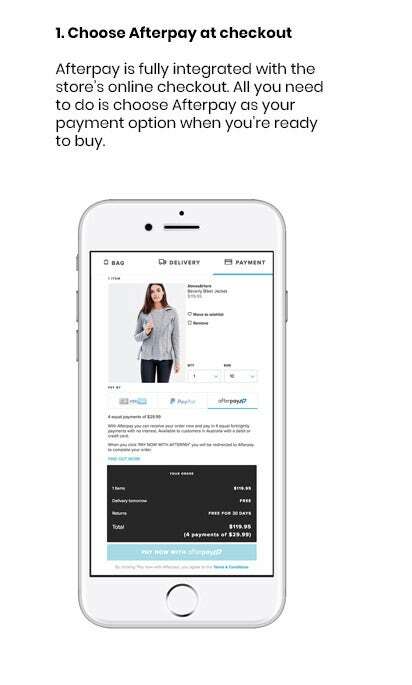 When purchasing via Afterpay, you may exchange an item in store for another size, or another style. If your exchange is of a higher value than your original purchase, the difference will need to be paid in store at the time of the exchange. There will be no change to your original payment arrangement with Afterpay. The additional payment cannot be made using an Afterpay barcode and can only be made using cash, eftpos, credit card, gift voucher or credit card. The additional payment will be subject to the Ally Fashion Returns Policy. Only the portion of the payment made using Afterpay can be refunded. If your exchange is for equal value, there will be no change to your original payment arrangement with Afterpay. *No exchange will be made for a lesser value product. Afterpay takes a number of variables into account when approving transactions. Please contact Afterpay if you would like assistance. 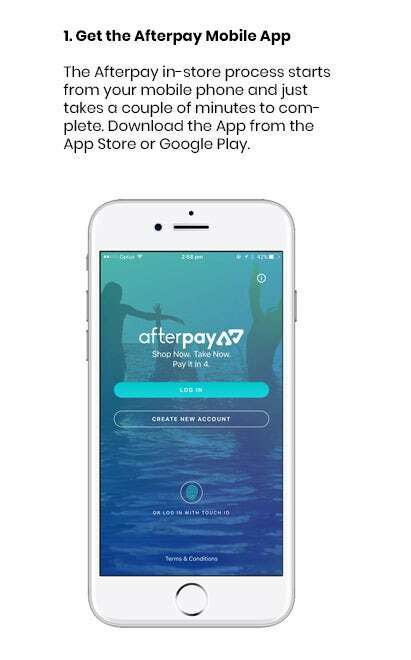 To make a purchase using Afterpay the minimum spend must be $30.00. The payment arrangement is made with Afterpay and they will approve payments at time of order. 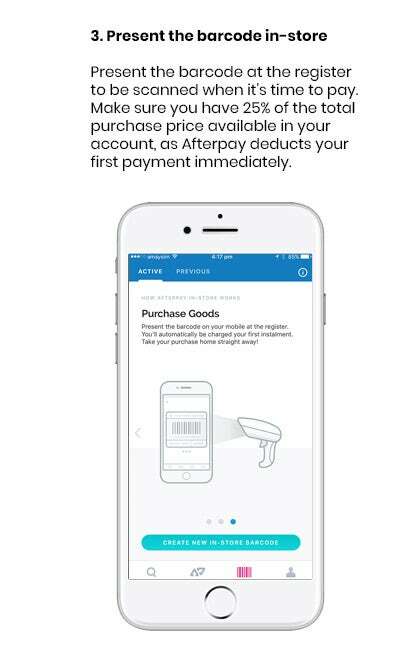 For first time Afterpay customers the first payment will be charged at the time of purchase. 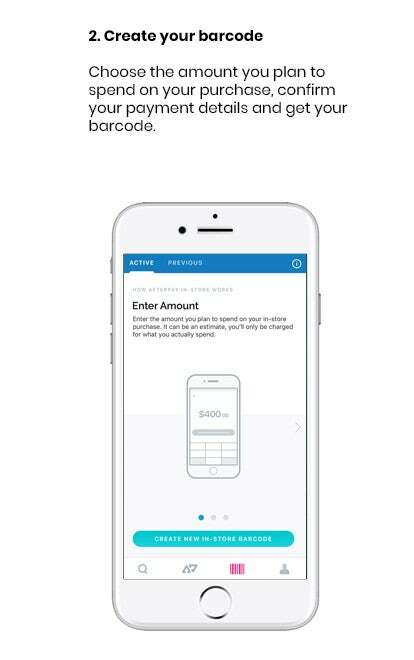 Existing Afterpay customers first payment will be charged 14 days from date of purchase. The full payment schedule will be provided to you at time of purchase. Both online and in-store gift cards are unable to be purchased using Afterpay. *We recommend customers select AusPost Insured if placing an order over a certain amount, as we do not cover or replace any orders that are Lost in Transit by Australia Post. If you are unsure of what the next step is, please contact our Customer Service Team at allyinfo@allyfashion.com or call us directly on (02) 9517 2666. Opening hours are Monday - Friday 9am - 5pm (AEST). Before returning an item make sure your order is within 21 days of receipt and please note we do not provide refunds for pierced or regular jewellery, swimwear, bodysuits or make-up. This merchandise is final sale and cannot be refunded, exchanged or credited unless there it meets the STATUTORY RIGHTS outlined by the ACCC. PLEASE NOTE: Gift Card & EGift Vouchers are excluded from Afterpay Transactions.